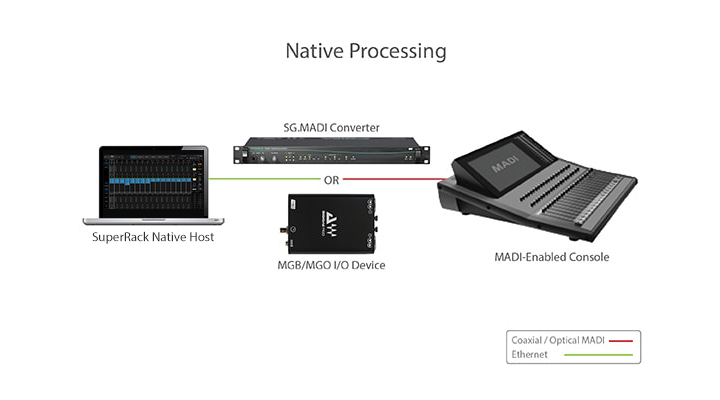 Plug any MADI-enabled console into the power of the Waves SoundGrid networking and processing platform. 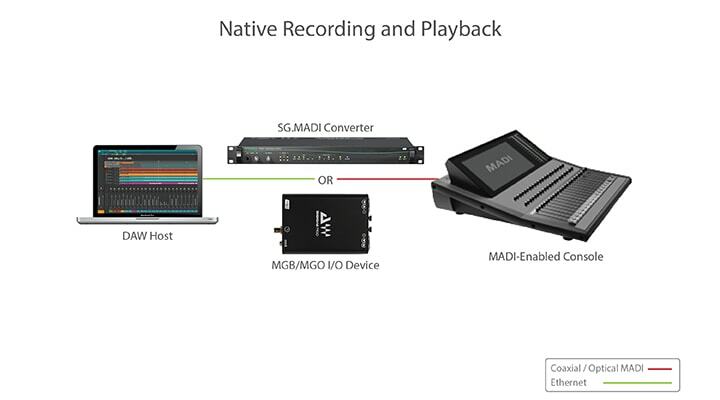 Record, process and play back up to 128 audio channels. Use literally hundreds of Waves plugins, with super-low latency of only 0.8 milliseconds. 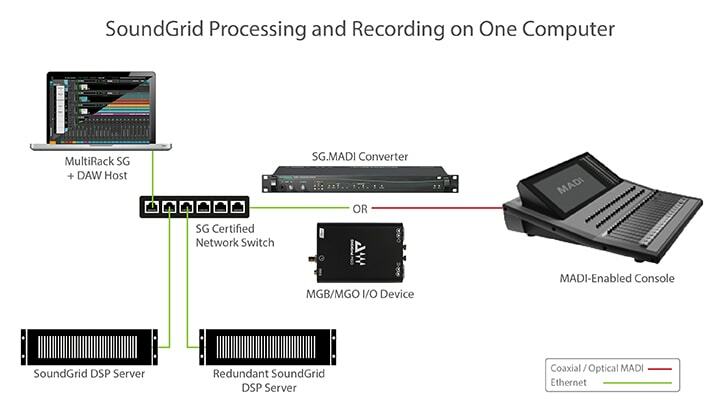 Connect any SoundGrid/MADI interface directly to your computer to record up to 128 channels. Use the MultiRack Native host application to process audio using your computer’s CPU. 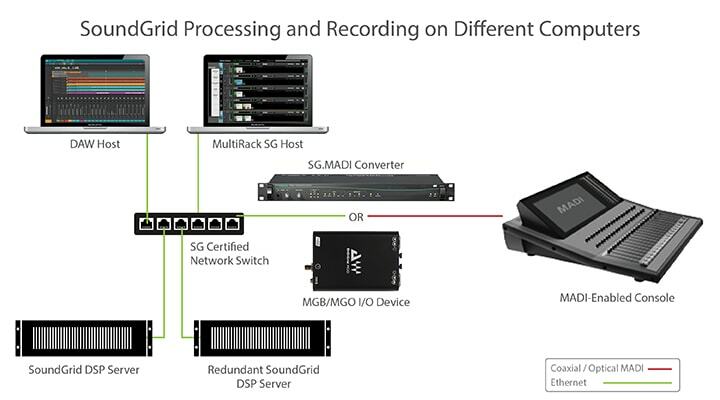 For real-time, low-latency processing capabilities, add a SoundGrid DSP server, a network switch and the MultiRack SoundGrid host application.